Summer calls out for salads like this one. It’s bold and colorful and crunchy and spicy and refreshing. I’ll admit I don’t think about green beans all that often. It’s not that I don’t like them. It’s just that I forget about them amid the bounty of summer vegetables that are crowding the farmers markets by the time they come into season. I’m distracted by the bins of tasseled sweet corn and the spiraling fractals on the romanesco cauliflower and the rainbow colored bunches of carrots and the fragrant mounds of fresh herbs. And that’s before I get to the fruit. 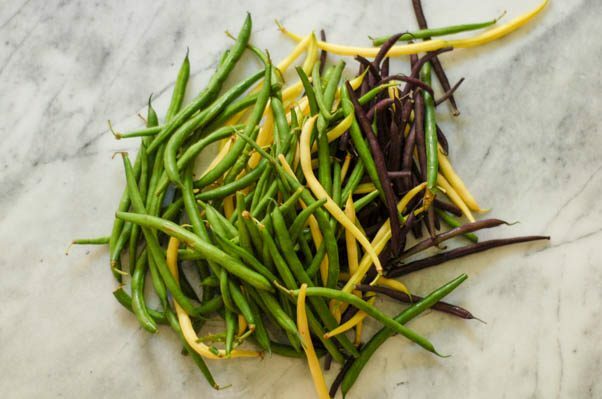 But when I saw these green and yellow and purple beans at the market last week, they caught my eye. 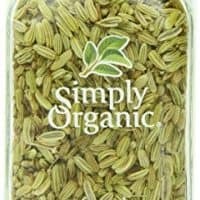 I sampled one and they were crisp and juicy and sweet enough to eat raw. I couldn’t leave without bringing some home. I thought of this salad. It comes from a book, Peter Berley’s Fresh Food Fast, which was one of my favorites for a stretch during my mid-twenties. I still love the book, and if you’re looking for a way to up your vegetable game, it’s a good one to add to your collection. I don’t turn to it nearly as much as I used to because of all the new books on my shelves competing for attention, but it has some great gems in its pages, including this one. The beans get blanched in boiling water for a few minutes, just until they get tender while retaining their crisp snap and then run under cold water to stop the cooking. A bit of onion gets sliced paper thin and sits in lemon juice to get ever so slightly pickled. 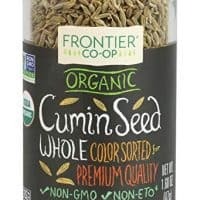 A bold blend of spices gets toasted and crushed, a clove of garlic gets grated, olive oil gets drizzled in, and then the beans and chickpeas get tossed in with the whole delightful mess. 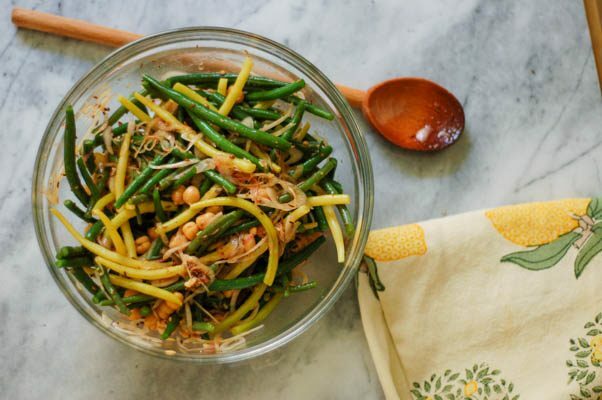 This is a substantial salad that makes for a great summer meal, and it makes a good case for me to think about green beans the next time I’m at the market. Even better, it’s the sort of salad that be made ahead and stays crisp and bright even a day later. Make a note to pick up green beans. You’ll thank yourself when you’re eating this. 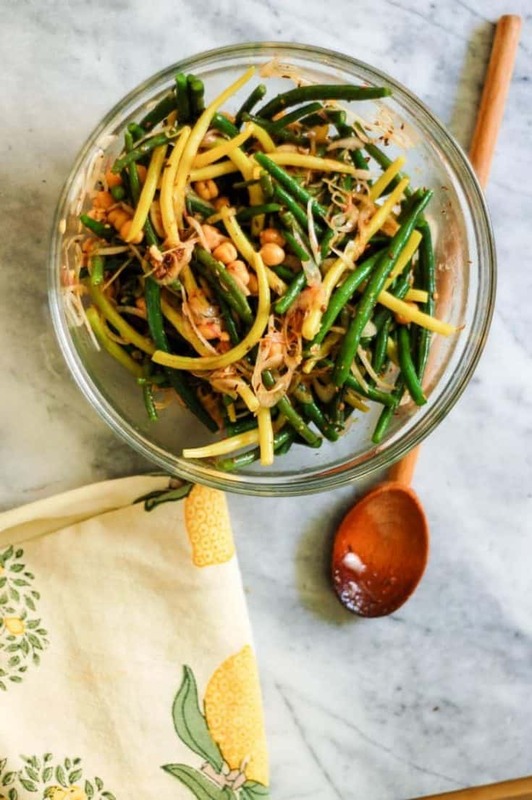 This salad gets visual interest from the different colored beans, but it can be made with all green or all yellow beans if that’s what you have. 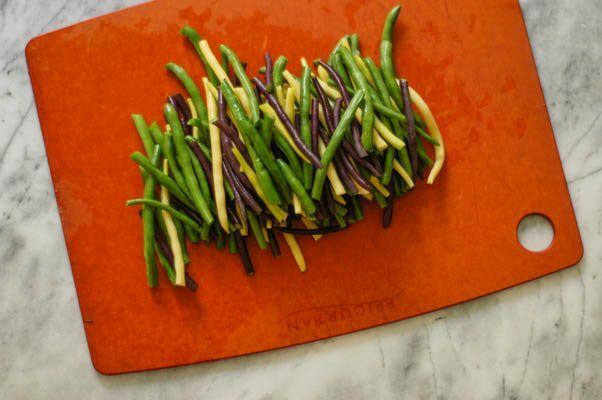 I should note that purple beans (like purple asparagus) turn a dark green when they’re cooked, so they don’t add any purple to the finished dish. This packs some real heat. 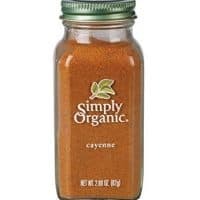 The spice averse may want to dial back the cayenne to a 1/2 teaspoon. I used a small red spring onion here, but I’ve made it before with a regular old red onion, which is just fine. I like to turn the garlic to a pulp by grating it on a microplane but you could use a garlic press or mince it finely with a chef's knife if you prefer. 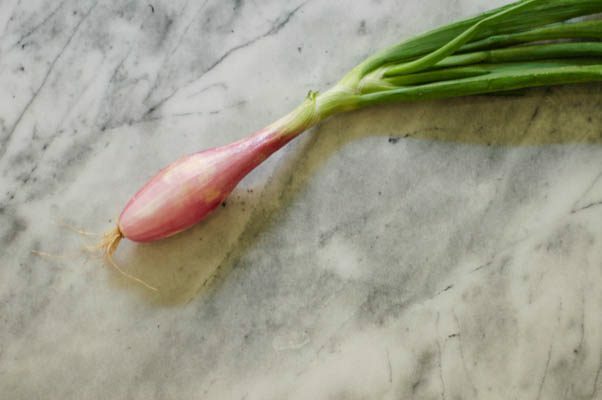 I find it easiest to get the onion sliced paper thin on a mandoline, but I’ve also done it many times with a chefs knife. I like this salad at room temperature or cold from the refrigerator. It holds up well for several hours, so you can make it ahead of time and keep it chilled and covered until you’re ready to serve it. Bring a large pot of water to a boil. Add a generous sprinkle of salt. Add the beans and cook for about 2 minutes, or until crisp tender. Drain and run under cold water to stop the cooking. 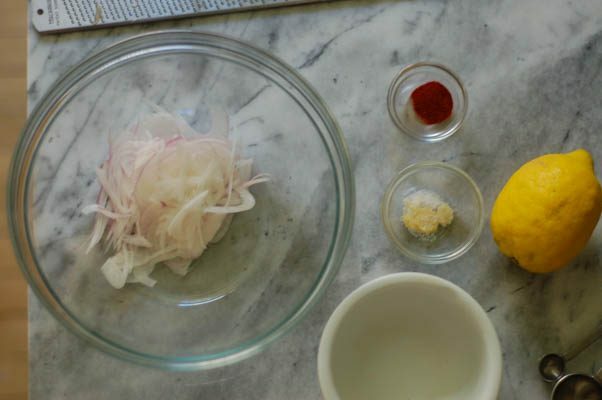 Add the sliced onion to a large mixing bowl and add the lemon juice. 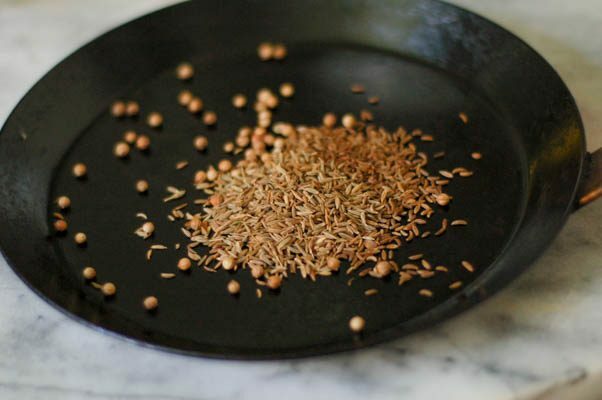 Toast the cumin, caraway (or fennel), and coriander seed in a small skillet over medium heat for about 1 minute, or until fragrant. 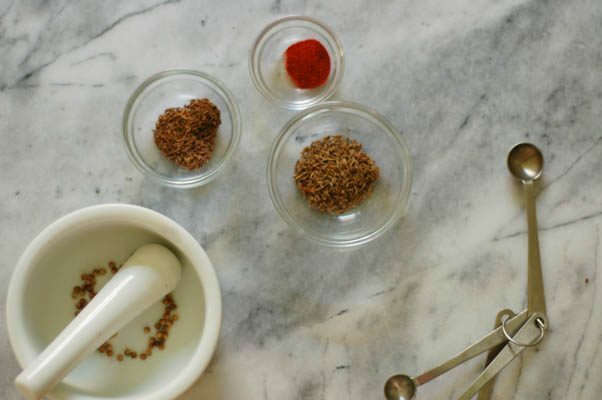 Transfer to a mortar and crush with a pestle. Grate the garlic with a microplane zester (or press with a garlic press) to form a paste. Add the garlic, toasted spices, cayenne and salt to the bowl with the onion and lemon juice and stir to combine. Whisk in the olive oil. 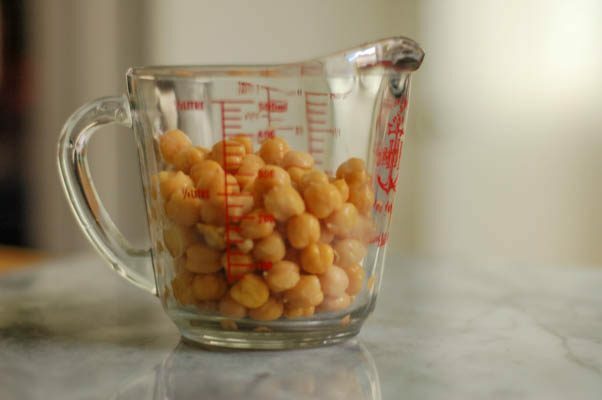 Add the beans and chickpeas to the bowl and toss to combine. Serve immediately or cover and chill for a few hours.